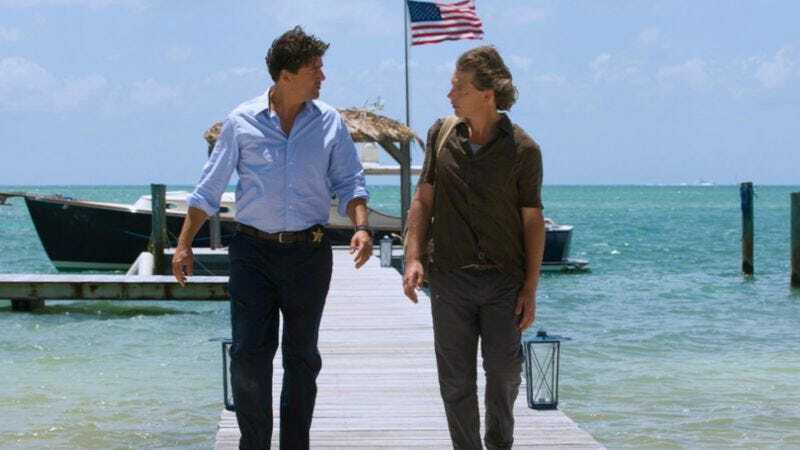 Fans of Netflix’s dark family drama Bloodline might be surprised to learn Ben Mendelsohn, who plays black sheep Danny Rayburn, will be coming back for season two. And executive producer Glenn Kessler understands that surprise, seeing as how Danny was killed by his brother John (Kyle Chandler) at the end of season one. Speaking at the TCA press tour in Beverly Hills, Kessler explained that it was always the plan to keep Mendelsohn around for season two, Emmy nominations or no. Perhaps this means season two will be even more rife with flashbacks than the first one, as a way to give Mendelsohn some serious screen time. Then again, let’s not forget how Danny was haunted by his dead sister—perhaps John is due for some visits from the ghost of brothers past. Or maybe they’ll just dress up Mendelsohn in a white sheet and chains, and have him wander around the beachfront property, moaning. Yeah, probably that last one.